Ineffective evangelism can cause a lot of soul searching for the one evangelizing. Some re-evaluate the message while others question their methodology. But those are only worthwhile endeavors insofar as the message remains faithful to the one true gospel (Galatians 1:8–9) and the methodology is obedient to Christ’s command: “That repentance for forgiveness of sins would be proclaimed in His name to all nations” (Luke 24:47). Beyond that it all boils down to something we have absolutely no control over—the heart condition of those who hear the gospel. 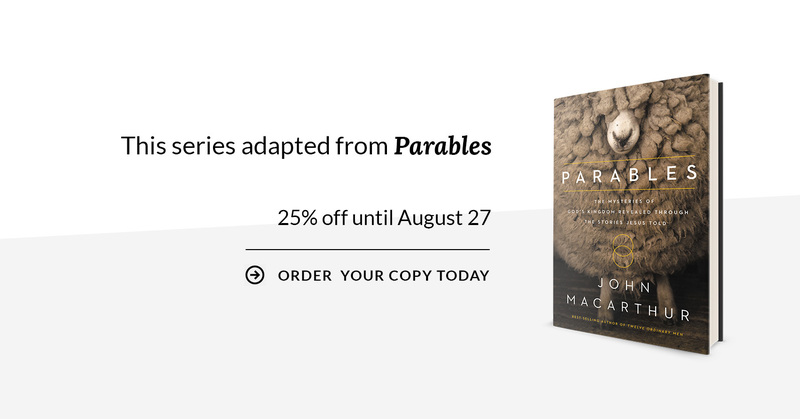 When Jesus started to teach using parables, He began by explaining that very issue. This is a foundational truth that the church desperately needs to be reminded of—set in an agricultural story analogous to evangelism. Jesus went on to explain that the seed represents the message and the soil represents the heart of the hearer (Luke 8:11–15). And the various soil types in the story cover the whole range of human heart conditions. The first soil type we encounter is the pressed-down, dry, and hardened soil “beside the road” (Luke 8:5). It pictures a heart that is impervious to biblical truth. This is perhaps the most disturbing and hopeless of all the conditions Jesus depicts. Unbelief and a love of sin have made the heart a dense, rocklike environment where truth cannot possibly penetrate, much less take root. The hearer is therefore oblivious, hopeless, spiritually dead—and totally susceptible to the stratagems of Satan. Jesus explains: “Those beside the road are those who have heard; then the devil comes and takes away the word from their heart, so that they will not believe and be saved” (Luke 8:12). That verse, by the way, explains the true goal symbolized in the work of the sower. His aim is that people might “believe and be saved.” There is only one way to sow the proper seed for such a goal: by proclaiming the gospel of Jesus Christ. The sower is an evangelist. He is hoping for a harvest of souls. Inevitably, he encounters hearers whose hearts are like concrete. The Old Testament calls them “obstinate” (Exodus 32:9) people who “stiffened their neck” (2 Kings 17:14). The clear implication is that such people have deliberately hardened their own hearts. “They have stiffened their necks so as not to heed My words” (Jeremiah 19:15). Of Zedekiah, the evil young king who “did evil in the sight of the Lord his God” (2 Chronicles 36:12), Scripture says, “He stiffened his neck and hardened his heart against turning to the Lord God of Israel” (2 Chronicles 36:13). He deliberately steeled his own will against repentance. Men like that were the ones who stoned Stephen, and he called them on it: “You men who are stiff-necked and uncircumcised in heart and ears are always resisting the Holy Spirit; you are doing just as your fathers did” (Acts 7:51). Such a person is depicted by the well-worn, barren footpath around the field. This heart is a thoroughfare, crossed by the mixed multitude of iniquities that continually traverse it. It is not fenced, so it lies exposed to all the evil stomping of everything wicked that comes along. It is never plowed by conviction. It is never cultivated with any kind of self-searching, self-examination, contrition, honest assessment of guilt, or true repentance. The heart is as hardened against the sweet beckoning of grace as it is against the dreadful terrors of judgment. Indifference, insensibility, and a love for sin have made this person’s heart dense, dry, and impenetrable. This is the fool of Proverbs—the person who despises wisdom and instruction (Proverbs 1:7) and “has no delight in understanding, but in expressing his own heart” (Proverbs 18:2, NKJV). What’s interesting here is that Jesus is not describing atheists in His parable. He is speaking to people in a highly religious culture, and the hardest of all hearts in His audience this day are the religious aristocracy—the top scribes and Pharisees, the same ones who had so recently blasphemed the Holy Spirit, cutting themselves off from grace altogether. Their sin epitomizes the absolute ultimate in hard-heartedness. The rank atheist is in a better state spiritually than they are. Elsewhere, Jesus said to them, “You are of your father the devil, and you want to do the desires of your father” (John 8:44). In explaining His parable, Jesus again says hardened hearts are utterly at the mercy of the evil one. “The devil comes and takes away the word from their heart, so that they will not believe and be saved” (Luke 8:12). that people love “darkness rather than the Light, for their deeds [are] evil” (John 3:19), and he takes advantage of that. It is easy for him to make himself appealing to those who love darkness. Then having gained the sinner’s trust and attention, he diverts the mind from the truth of the Word, effectively snatching it away from the person’s consciousness. That hardened soil by the roadside was emblematic of many in Christ’s audience. Jesus’ followers abandoned Him in droves once He stopped feeding them physically and started talking about the bread of eternal life (John 6:26–66). But the impenetrable surface of the roadside didn’t typify the hearts of all who followed him—including those who did so superficially. That’s why Jesus discussed three other kinds of soil in His parable. And as we’ll see in the days ahead, those different soil types run the whole range of human responses to the gospel.